From the author of I Saw a Man comes a powerful drama in verse that captures both the trauma of modern warfare and the difficulty of transitioning back to normal life after combat. In early 2008, three young friends from Bristol decide to join the army and are deployed to the conflict in Afghanistan. Within a short space of time the three men return to the women in their lives-a wife, a mother, a girlfriend-all of whom must now share the psychological and physical aftershocks of military service. Written from the points of view of each soldier, Sheers explores not only their experiences in the field of battle but also the grueling process of recovery following a debilitating injury, the strain of PTSD on a new marriage, and the emotional toll of survivor's guilt among soldiers and their loved ones at home. Drawing on interviews with soldiers and their families, Sheers illuminates the enduring human cost of war and its often devastating effect on the young lives pulled into its orbit. 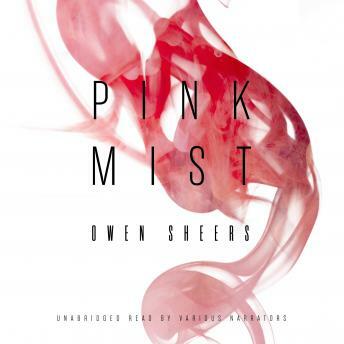 Pink Mist is a work of great dramatic power, documentary integrity, and emotional intensity.